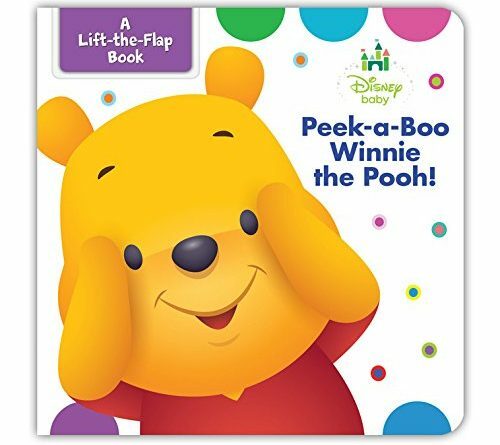 Disney Baby Peek-a-boo Winnie the Pooh is an adorable book where Pooh and his friends play peek-a-boo throughout the pages. 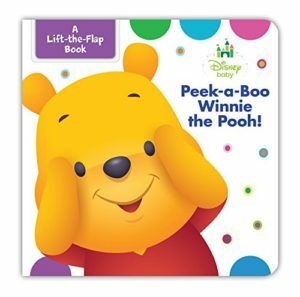 The characters come to life in the delightful lift-the-flap board book. The pages are extra thick, making it easy for little hands to hold and flip pages. I read this book to my 4-month-old daughter and she enjoyed the colorful pictures. She is still too young to understand all of it, but she loved hearing me say ‘peek-a-boo’ so many times. The book is 10 pages long, with 5 of them having a flap to flip down to see what is behind the image. It is an excellent gift for new parents and I look forward to reading this book to my daughter often as she grows up.